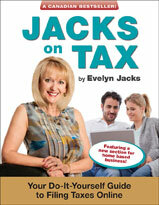 Over the next few weeks I am going to feature some tax tips for you to consider with your clients. The first in this series is about better collaboration between advisors and clients on filing audit-proof tax returns. Every new list of tax tips must start with this one: filing an audit proof tax return begins with filing it on time – which means midnight April 30 for most people; June 15 for unincorporated small business owners and their spouses. But if you owe – whether or not you qualify for the later deadline – the interest clock will start ticking on May 1. It’s always surprising to me how many taxpayers don’t know these very preliminary groundrules. CRA usually won’t want tax receipts on filing but of course the taxpayer must be prepared to retrieve them in the future during an audit. It’s another commonly misunderstood rule; especially in the electronic world we file in. The problem is common: everyone is really busy and gathering tax filing documents is a pain, because it takes a lot of time to sort out all the income, deductions and credit slips needed to do the returns. But remember, the trick to the whole tax filing exercise is to pay only the correct amount of tax–not a cent more. This is about what you keep. If you’re a tax advisor, consider having this conversation with your new clients: Tax preparation is a starting point in sound tax and investment planning that will help you accumulate, growth, preserve and transition wealth to your family for greater peace of mind in your future. You’ll get to have more fun, sooner too, because you have the money to make better financial choices. Also, remind them that the record retention period is six years after the end of the year in which the return is filed. Keeping books and records is also a nightmare for most taxpayers, but fortunately, because tax pros can now scan and keep those documents electronically; they can provide an excellent value-added service to eliminate bookkeeping stress throughout the year. In fact, tax advisors who wish to offer all year long “electronic filing drawer services” for clients whose bookkeeping is brutal may find themselves at the centre of deeper planning conversations all year long as well. It’s Your Money. Your Life. Perhaps visiting your tax advisor with your shoeboxes monthly to get the detail into their hands and the strategic plan into yours might be a financially empowering opportunity. It’s a great way for pros and taxpayers to get “out of the weeds” and into the Real Wealth Management discussions that will increase family wealth. Tax preparation season is about to begin and getting it right means a lot more than filing an accurate tax return. • third, be sure to file an audit-proof tax return to minimize stress and financial consequences when CRA follows-up. At Knowledge Bureau, we teach professional advisors a Real Wealth Management™ approach to wealth planning. To plan tax efficiency and manage the investment, retirement, insurance, business and estate plans, one strategic plan requires all stakeholders to agree to building sustainable family wealth. This involves asking the right questions about family income and capital. That’s important, because for advisors to be truly client-centric in their process, specific questioning about life, financial and economic triggers is required. After all, those events cause their clients to make decisions with their money. Astute advisors will use interview techniques that result in a sharp investigative process that is propelled by comprehensive knowledge of the tax return and the tax law behind the lines. Tax time is a good time to review other key financial documents – the personal net worth statement, for example, loans and liabilities and financial plans for future investments. This is a time when all the financial affairs of the family are viewed together and the opportunity to discuss estate planning as well – when to transfer assets and to whom, and where the will is – is also logical. Professional advisors will complete, update and review these key financial documents together are practicing within a Real Wealth Management strategy. They are a cut above. This approach is not just for adults or the high net worth client, either. Tax planning begins for most people with their first pay as an employee: source deductions for income tax, CPP and EI are requirements for those 18 and older; income tax and EI even for minors who reach certain earning thresholds. Even teenagers with income reported from “self employment” – babysitting, lawn care and snow shoveling. Each of these sources build RRSP contribution room when a tax return is filed, a starting point in lifecycle investment planning approach to wealth management. It’s About What You Keep. Filing a tax return is the first financial transaction most Canadians will have in their financial lifecycle, and for many it’s the most important financial transaction of the year, especially since the average tax refund to May 1, 2015 was $1,695. This year’s refunds may be much higher for families because of the Family Tax Cut provisions. Doing the right thing with that tax refund – whether that is debt reduction or tax-efficient investing – is important in volatile economic times. It’s Your money. Your Life. The role of today’s tax specialist is a much broader one than ever before. Arranging for early tax consultation appointments (this month and next) will help the specialist to a better job for your family. It will also make your professional and investment dollar go farther. What inspires you to set the principles and goals that will guide your achievements in 2015 and redefine your professionalism? It’s a question to reflect upon at the start of the year, especially if you are a trusted advisor to a number of families, and driven by continuous self- improvement. Revisiting personal strategies for professionalism will lead not only to your own personal success, but will surely help you set higher goals with your clients by setting new and better standards of financial care. This is especially important, in advance of this year’s annual tax and RRSP season, because it provides one of the few opportunities to visit with your clients in person to discuss tax compliance and efficiency in their family and investment affairs. Professionalism, as defined by the Merriam Webster Learners Dictionary is “the skill, good judgment, and polite behavior that is expected from a person who is trained to do a job well.” Skills and training are the underpinnings of every professional, and there are few professions in which one can rest upon past laurels. Continuing professional development is a must. However, the demonstration of good judgement and respectful behaviors is a matter of personal principles, experience and style. That requires a different set of skills and polishing. If you feel it’s something worth revisiting, consider reading “On Managing Yourself,” published by Harvard Review Press. This book is part of HBR’s 10 Must Reads. It contains a collection of sage articles to the theme; the opening one by Clayton M. Christensen, a 2010 McKinsey Award Winner and noted teacher at Harvard, is especially thought-provoking. He asks a simple question: How will you measure your life? The author asks the reader to think about the important measures that define you, your life purpose and the way you treat the people you come in contact with, so that you arrive at the right metrics that define a life that is judged to be successful not just at work, but in life in general. The author suggests that when you take the time to discover your life purpose and then build a strategy for your life, you will be better equipped to decide to how to both expend and save your precious and finite resources of time, talent and energy with purposeful priority. He discusses the importance of living a life of integrity, which essentially requires the establishing of the few key principles that you never waiver from – I like to call those the “non-negotiables.” The simple reason, he states, is because it is easier to stand true to them 100% of the time, as opposed to 98% of the time. This is true of the Real Wealth Management™ approach to strategic wealth planning the advisors who have achieved the Distinguished and Master Financial Advisor Designations from Knowledge Bureau use in their professional practices. The strategy encompasses four elements in planning – accumulation, growth, preservation and transition of after-tax wealth – and a definitive process for multiple stakeholders to get the right financial results for a variety of life, financial and economic goals. The opportunity of building a successful life, family, career, business, relationships, all requires the right strategy and processes for success over the long term. Choosing the right yardstick matters to measure your professionalism goes a long way towards finishing well. And that can provide new inspiration for the setting of revised principles and goals for outstanding professionalism in 2015. It’s Your Money. Your Life. Be sure to start the year by planning to finish well. Despite the obstacles most professionals and their clients will have to navigate as part of a normal course in uncertain times, professional standards go a long way to ensure risks are managed. Join us at the Distinguished Advisor Workshops being held next week in Winnipeg, Toronto, Calgary and Vancouver or sign up for one of our online courses. Happy New Year! What’s your “economic potential” in 2015? To make more tax dollars will be available for social services, by paying less in interest costs. To encourage confident consumers and investors to spend and save to help create jobs and economic growth. To better manage future financial risks due to an aging population, unexpected global economic shocks, and global security threats. Canadians are working at debt reduction. While the average Canadian household owes $1.62 for each dollar of income earned, the growth of household wealth is up by 10.5 per cent according to Statistics Canada. Canadian household wealth grew by 1.3 to an average of $232,200, while debt grew by 1.5 per cent. But the CBC reports that according to a CIBC poll, debt reduction has been the top financial priority over the past five years and in 2015 it is a priority for 22 per cent of Canadians, up from 16 per cent last year. After paying down debt, the poll reports that 12 per cent want to increase savings as a top priority. Canadians are well educated, which increases job prospects and wages. According to a report released by the OECD, almost two-thirds (65%) of Canadians aged 25 to 64 had completed a postsecondary education and in 2012, almost 9 out of 10 people (89%) aged 25 to 64 had completed at least high school. Canadian families will receive tax relief and increased refundable Child Tax Benefits, Children’s Fitness Credits, Universal Child Care Benefits and bigger child care expense deductions in 2015, as well as the opportunity to save up to $2,000 by splitting family income. This provides the opportunity to pay off bad debt (expensive, non-deductible consumer debt), and to build asset-backed wealth to manage unexpected economic shocks, interest rate hikes or currency fluctuations. In addition, early counsel from a qualified tax and investment advisory team can help taxpayers decide what comes first: debt repayment or early investment in TFSAs, RRSPs, RESPs and non-registered accounts. It’s Your Money. Your Life. How will you meet your economic potential this year? Now is the right time for DFA-Tax Services Specialist and MFA-Retirement or Succession and Estate Planning Specialists to help clients achieve their goals. Join me at Knowledge Bureau’s Distinguished Advisor Workshops January 20 – 23 to sharpen professional tax planning skills.